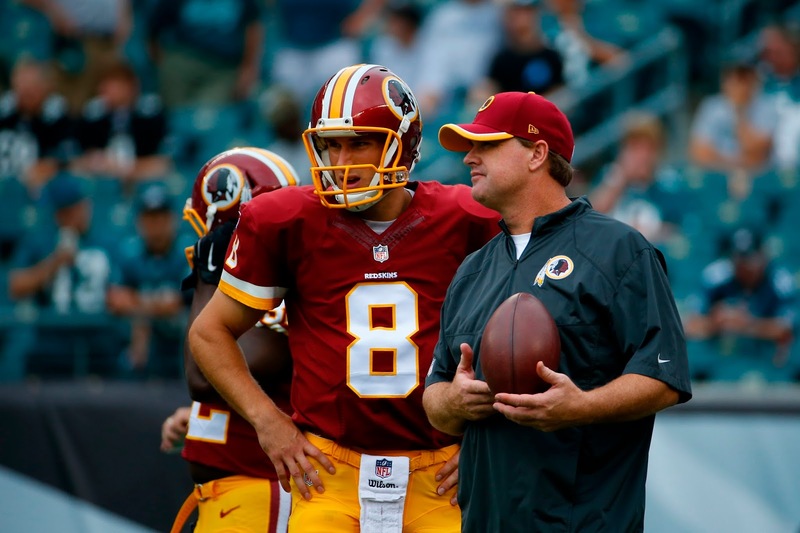 Washington has its starting quarterback in Kirk Cousins and its veteran backup in Colt McCoy. Now coach Jay Gruden wants to add a young quarterback who can be developed. Washington has indicated that it views the 27-year-old Cousins as its long-term franchise quarterback. But for now, Cousins is under contract for only one year, at the franchise player salary of $19.95 million. If Washington does draft a developmental quarterback, it’s possible that he could be the starter as soon as 2017, if Cousins and Washington don’t agree to a long-term deal. 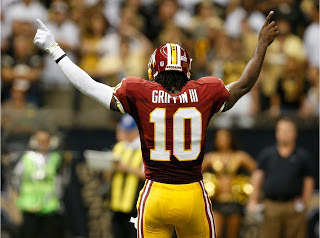 In the last seven drafts, Washington has only drafted two quarterbacks: Cousins and Robert Griffin III, both in 2012. The Cleveland Browns have signed quarterback Robert Griffin III, amid plenty of questions about his ability to become an effective starting quarterback once again. Per a source with knowledge of the situation, the Browns addressed some of those questions by putting Griffin through a workout that included passing drills during his recent visit to the team. The Browns clearly liked what they saw. However, Griffin did not run and cut (beyond executing rollout passes), leaving unresolved the question of whether he can run like he did before tearing his ACL a second time during the 2012 season. Some think Griffin can’t run like he used to; the reality is that he hasn’t been called upon to do it very much in the three seasons since he tore the ligament. Since then, Griffin played most extensively in 2013, starting 13 games after missing all of the offseason, training camp, and the preseason. Those performances came less than a year after surgery to repair the torn ACL. Come 2014, Griffin suffered an ankle injury in Week Two, missed six weeks, and then found himself on and off the bench over the balance of the season. By 2015, with a contract for 2016 fully guaranteed for injury at $16.1 million and after a ragged preseason that prompted coach Jay Gruden to go with Kirk Cousins, Griffin landed in bubble wrap and disappeared from view. Now, with plenty of time to get healthy and a head coach who seems to fully support and believe in Griffin, he’ll have a chance to thrive. Of course, he may have thrived even more if he had center Alex Mack, tackle Mitchell Schwartz, and receiver Travis Benjamin available to help the offense. Even with those players gone, Griffin believed that Cleveland provided his best option for resurrecting a career that pushed him to the NFL offensive rookie of the year award, over the likes of Andrew Luck and Russell Wilson. If Griffin can get back into that same conversation, it will be the best move the Browns have made since the original Browns moved to Baltimore 20 years ago and became the Ravens. The Browns may not have a quarterback at the moment, but they appear to have at least settled in on a direction toward obtaining one. According to Mary Kay Cabot of the Cleveland Plain Dealer, Browns officials told their local reporters that they were working on the possibility of a deal with free agent quarterback Robert Griffin III, and that any trade talks regarding Colin Kaepernick seem to have cooled. Executive vice president of football operations Sashi Brown said they were moving forward with the possibility of signing Griffin, through a move wasn’t imminent. They’ve been gathering information about the former Washington quarterback since his visit, and it’s clear they see him as an easier add than Kaepernick. Brown also said their interest was “over-reported,” and that any talks never got to the point of renegotiating a contract or draft pick compensation. Of course, the Browns are still expected to use the No. 2 overall pick in the draft on a quarterback, so narrowing their focus toward a free agent instead of someone who would have to be traded for might simply be expedience. They can sign Griffin by simply calling his agent, and not worry about coming off with another pick, and dealing with existing contractual entanglements. 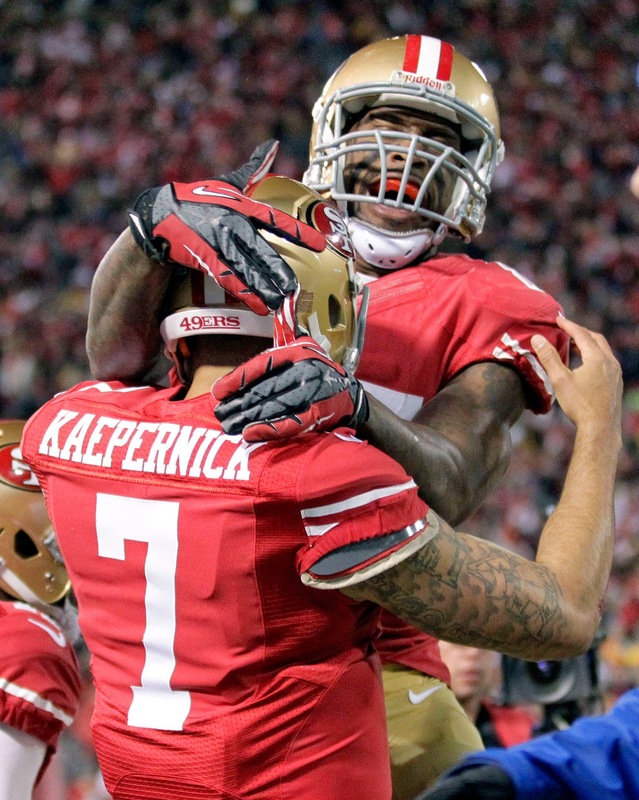 Many believe that quarterback Colin Kaepernick would fit well with the Chip Kelly offense. 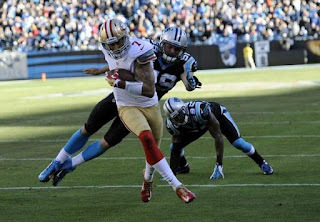 Others point out that Kaepernick may lack the ability to make quick decisions, a staple of quarterback play the Kelly system. Appearing on Thursday’s PFT Live on NBC Sports Radio, Cardinals defensive back Tyrann Mathieu provided another explanation for why Kaepernick may not mesh with the new offense in San Francisco. Mathieu, who had plenty of candid and insightful comments about Kaepernick during the 2015 season, had praise for the 49ers (for now) quarterback. Regardless of who the quarterback may be, Mathieu looks forward to facing the 49ers. Last week, Brock Osweiler was the domino that needed to drop before the rest of the quarterback market could be figured out. This week, the next domino to fall continues to be Colin Kaepernick. Per a league source, players like Robert Griffin III won’t be in a position to know what’s next for them until the Kaepernick situation is resolved. With Kaepernick in play both in Cleveland and Denver, Griffin’s opportunities won’t crystallize until Kaepernick is cleared off the San Francisco roster. In the interim, he visited the Jets in what best can be characterized as a meeting of convenience, with the Jets kicking tires on a fallback position and Griffin getting his name in circulation and creating the impression of the existence of a demand for his services. Griffin originally was interested in the Broncos, 49ers, and Rams. The Rams haven’t reciprocated, but the Broncos or 49ers still may. Denver continues to be a potential hard sell, given that coach Gary Kubiak’s mentor, Mike Shanahan, may be ready to share a harsh assessment of his time in D.C. with Griffin. If Shanahan hasn’t already done just that. The 49ers could make the most sense for Griffin. 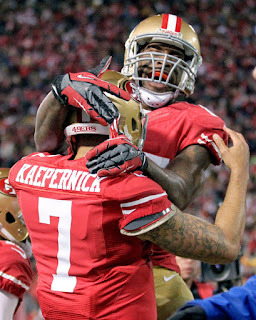 But first the 49ers need to officially do what they seem to be intent on doing: Move on from Colin Kaepernick. Even before Brock Osweiler was officially out of Denver, a deal for 49ers quarterback Colin Kaepernick seemed to be among the most sensible alternatives. Now, it might be their primary one. According to Michael Silver of the NFL Network, Kaepernick has emerged as the Broncos’ “chief target” and an attempt to trade for him seems likely. On the surface, it makes plenty of sense for the Broncos, unless they’re going to make a run at Ryan Fitzpatrick. Kaepernick is young and mobile and seemingly a stylistic fit for Gary Kubiak’s offense. And there’s enough help around him that should ease the pressure to carry things like in San Francisco after the post-Harbaugh diaspora. He’s also relatively cheap, if you consider the $11.9 million which would be guaranteed on April 1. With so many of their own players bolting for the door early in free agency, an inexpensive starting quarterback could be just what they’re looking for as they attempt to reload. Then again, the 49ers have to go along with the idea of trading him, and have thus far seemed unwilling to, despite his agents spreading the word he wanted out. That gives them the chance to twist John Elway’s arm a bit, and see what Kaepernick’s worth to them. There was some hope that they could swing a trade, but the existence of a $16 million-plus contract for quarterback Robert Griffin III in 2016 and the Redskins’ need to part ways with him before that contract became guaranteed on Wednesday made that impossible. So, according to multiple reports, the Redskins did the expected on Monday and released the No. 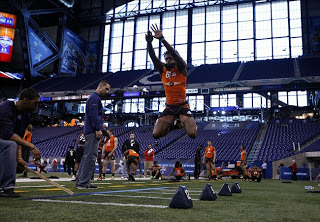 2 pick of the 2012 draft. Griffin, who came to Washington in a massive trade with the Rams for that pick, didn’t play at all during the 2015 season and ends his time with the team with 35 starts. The first 15 of those went well enough for Washington to win the NFC East, but a knee injury in a playoff loss to the Seahawks marked the end of the good days for Griffin with the Redskins. He and former coach Mike Shanahan battled during a dismal 2013 season and injuries and ineffectiveness from then on helped elevated Kirk Cousins to the starting job last year. It will be interesting to see how Griffin’s market shapes up on the open market. Teams like the Rams and Texans are looking to add competition to their depth chart at quarterback, although it’s unclear if they’d see Griffin as a potential starter or if he’ll be limited to backup opportunities as he tries to jumpstart his career after it came screeching to a halt in his last two years with Washington. The Los Angeles Police Department, in a press conference conducted Friday morning, has acknowledged that a knife was given to authorities within the last month, and that the knife possibly was found on property owned by O.J. Simpson at the time of the murders of Nicole Brown Simpson and Ronald Goldman. Captain Andrew Neiman told reporters that the process of vetting the evidence continues, but he declined to provide details about the situation in order to not undermine the investigation. The item was given to the LAPD by a motor officer who retired in the late 1990s. The officer, who was either off duty or already retired, was providing security at a movie site near the former Simpson property. The LAPD is trying to determine the identity of the person who gave the officer the knife. Neiman added that the retired officer, who wasn’t named, has said that he didn’t surrender the item earlier because he believed the case was closed. Neiman clarified that the case remains open. Neiman declined to provide details about the knife. He said it has been submitted to the LAPD laboratory for testing. Although Neiman isn’t a lawyer, he explained based on his 30 years of police experience that “double jeopardy would be in place here,” and that Simpson could not be prosecuted again for the murders. Efforts are underway to find the person who gave the knife to the retired officer. Obviously, any effort to give the evidence value would require the construction of a reliable chain of custody. The person who found it would have to be able to testify that he or she found it on the property. The retired officer would have to testify regarding the whereabouts of the knife from the time he got it until the time it was given to police. Ultimately, none of it matters absent DNA evidence that would connect the knife to the murders. Unless the knife carries DNA of someone other than the victims or Simpson, there’s really nothing that can be done. In Cowboys owner Jerry Jones’ perfect world, Tony Romo will be the quarterback of the Cowboys for the next four to five years. That hasn’t stopped Jones from thinking about what the team will do at quarterback once Romo is no longer in the picture, however. After watching his team’s 2015 season go down in flames with Romo sidelined after breaking his collarbone twice, Jones has also spent some time talking about the team adding better options behind Romo to their quarterback depth chart. 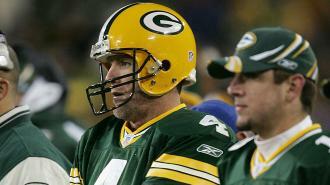 It’s a move that the Packers made in 2005 when they drafted Aaron Rodgers in the first round despite the presence of Brett Favre. Rodgers sat for three seasons before taking over after Favre moved on to the Jets and he’s thrived since ascending to the top job, something Jones wouldn’t mind copying in Dallas. Romo sat for several years himself before getting bumped up in the middle of the 2006 season and there’s definitely something to be said for giving a young quarterback time to mature before they become a starter. It helped that Romo came to the team as an undrafted free agent without any pressure to play immediately, something that’s hard to mimic given how rare it is to see a quarterback follow that route to NFL success. It’s also hard for a Cowboys team with other pressing needs now to use a premium pick for a player who won’t see the field unless something goes wrong so it will be interesting to see how the Cowboys try to set up that kind of succession plan — minus the rancor that accompanied Favre’s departure from Green Bay, we’d imagine — this year or in the coming offseasons.